Welcome to ClockworkZero’s crazy world. 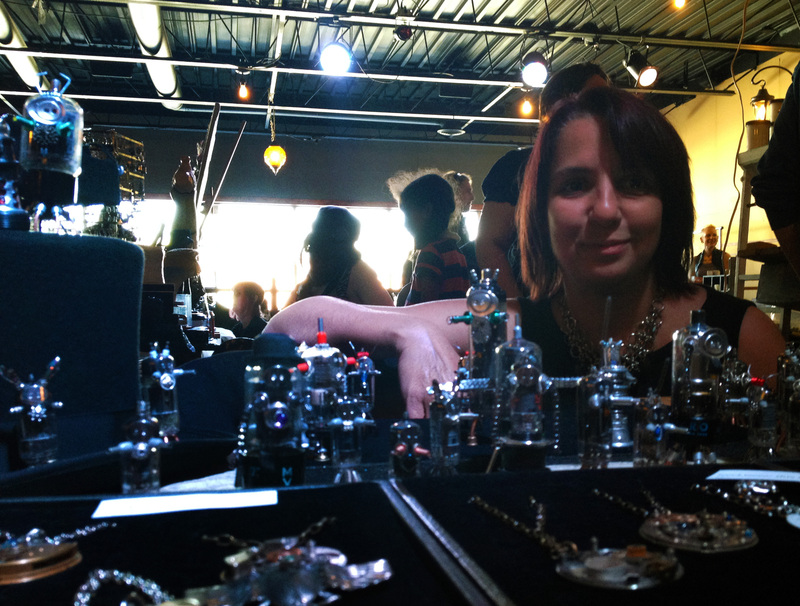 I’m an artisan specializing in Steampunk Jewelry, and small, original sculptures: the Robot Army! This site is an attempt for me to bring together some of the work I do – writing, jewelry, robotic obsessions, photography and graphic art. I reuse machines, vacuum tubes, pocket watches, “gears”, clocks, computer parts and found objects. Sculptural assemblage on a small scale. I create each piece in my home studio in Toronto. 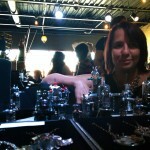 I do a very few, chosen craft shows around the city, and a small selection of work goes on Etsy. My work was in 3 fashion magazines recently: AUXILIARY MAGAZINE, ALT NOIR MAGAZINE and STYLE-OLOGY Magazine. A new short story will be out in a print anthology soon. Alas though, it has been a drastic year for personal sickness and family problems. I hope these are all behind me now! I’m a ex-tech server support girl who occasionally writes short stories. I’ve been written about in WIRED Magazine by Clive Thompson, which was a real geek dream. I’ve a true interest in machines and love found objects. My work is influenced by a love of Science Fiction – writers like Willam Gibson, Pat Cadigan, and more recently, Richard Morgan. Great writers.. check them out.